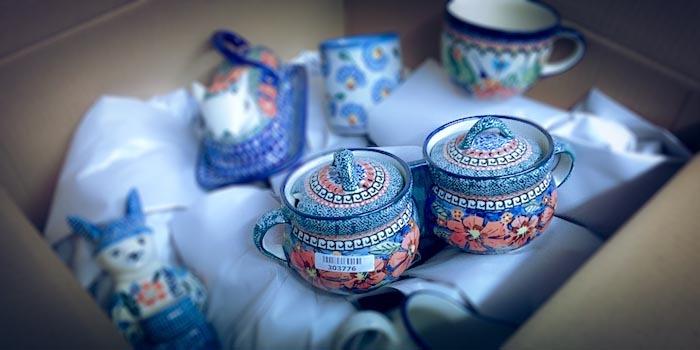 Polmedia Polish Pottery Wholesale - Handcrafted Stoneware from Boleslawiec Poland. Buy hand-crafted Polish stoneware at factory prices. 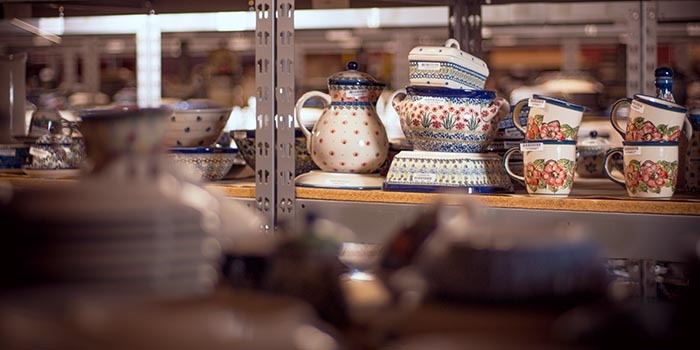 Order your favorite Polish pottery styles and patterns directly from factory. We are looking for entrepreneurs who would like to run independent Polish pottery outlets in their territories with our support. Several regions are still available. You have to be a registered user and have business license to use this website. Register today and start selling Polish pottery! 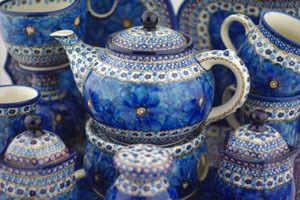 Polmedia is the largest distributor of Polish pottery in the world. Our 12,000 sq. 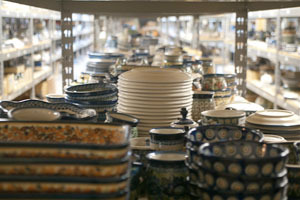 ft. warehouse in Seguin, TX houses over 50,000 different combinations of shapes and patterns of Polish pottery. In addition to our US warehouse we have facilities in Poland that fulfill international orders. Not only do we provide the best selection and excellent customer service, but we offer free shipping to our wholesale and retail customers and hassle-free returns. Wholesale purchases are covered by our "Sell it or return it" guarantee. 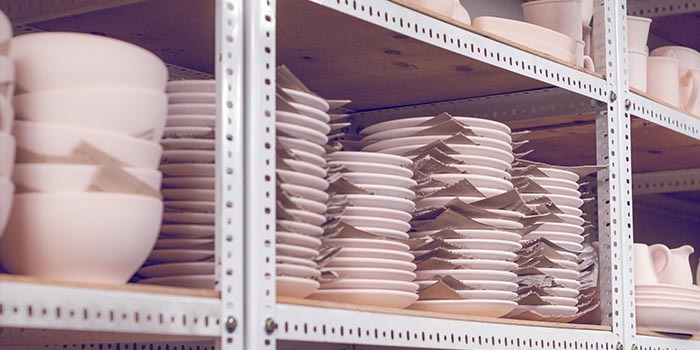 We stand behind our products, if you can't sell the stoneware you purchase from us, just return it. We have been in business since 1991 and we pride ourselves in superb customer service. We import only the finest Quality 1 stoneware. You can count on being amazed every time you do business with us!